“E.T. phone home.” It’s one of the most famous movie lines in cinematic history, and screenwriter Melissa Mathison, who died last Wednesday at 65 after battling cancer, brought those words into the world. The Oscar-nominated writer's film legacy, which lovingly highlights stories about and for children, lives on not only with E.T., but also in her scripts for The Black Stallion, The Indian in the Cupboard, and Steven Spielberg’s upcoming The BFG, based on Roald Dahl’s novel. 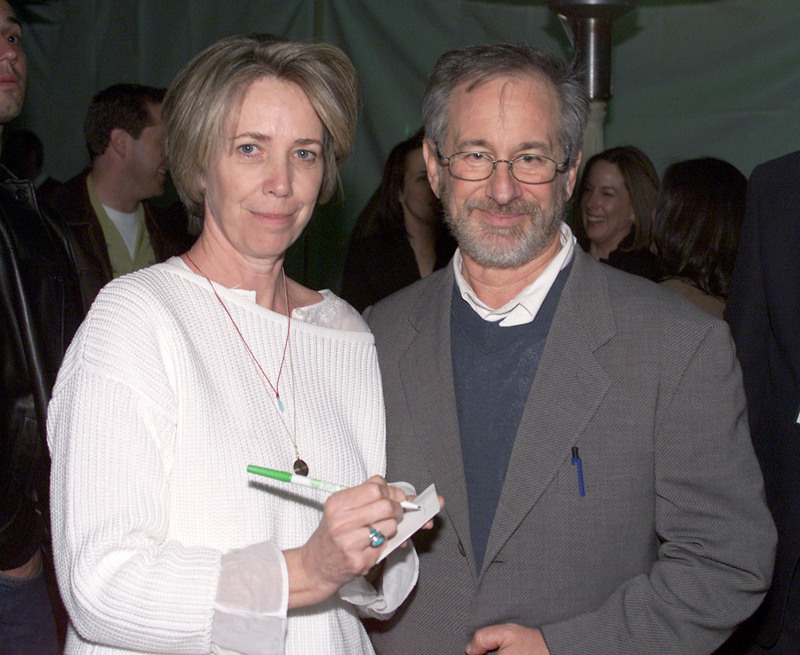 After her death, Spielberg sent a loving statement to Variety, saying, “Melissa had a heart that shined with generosity and love and burned as bright as the heart she gave E.T," and as someone who grew up watching her work, I couldn't agree more. I can’t remember the first time I saw E.T., but it’s been a favorite of mine my entire life. It’s most likely what sparked my deep interest in science fiction, and, along with The Wizard of Oz, from which it no doubt took some inspiration, begot my love of cinema as a tiny little film nerd. I remember my mom telling me the story of how my then 6-year-old older brother got so scared when E.T. became sick that they had to leave the theater. I took pride in the fact that unlike him, I wasn’t afraid, though to this day I grimace when the raccoons are shown picking at E.T. 's gray skin. For many years during my childhood, E.T. would air on TV on Thanksgiving. It wasn't exactly a holiday film, but it happened for enough years in a row that even when the channel ceased the tradition, my family started our own, and it continues to this day. Even if we're full of turkey and tryptophan and watching football late into the night, E.T. is always seen on Thanksgiving. This year, though, the viewing will be bittersweet. E.T. 's cinematic elements are damn near perfect, from Spielberg’s direction, to John Williams’ epic score, to the gorgeous cinematography. I’ve always particularly loved the fact that the entire film is shot from a four-foot-high perspective, mimicking the height of a child. The magic of the story seems specifically designed to wow and inspire children, but even as an adult, I’m still enthralled every time I watch it. Yet visuals aside, it's Mathison’s script that causes the movie's magic to truly begin. And, in a time when women make up only 11% of working screenwriters, it will go down in history that a woman wrote one of the best, most memorable screenplays of all time, one that's lasted through the decades and continues to have a massive impact. The story of how Mathison wrote E.T. is a fascinating one; while on the set of Raiders of the Lost Ark with then boyfriend Harrison Ford, Mathison was approached by Spielberg about writing the script for a story that had been bubbling in the filmmaker's head. He had always wanted to explore his parents' divorce, but was also toying with the idea of an alien visitation story akin to Close Encounters of the Third Kind. According to their own accounts detailed in a 30th anniversary book, Mathison was reluctant to take on the script, and Spielberg had to enlist both Ford and producer Kathleen Kennedy to convince her. Clearly, it worked; while continuously meeting with Spielberg, Mathison wrote the first draft of the script in eight weeks — Spielberg read it in an hour. But not all of the movie's power came from its lighthearted moments, of course. Elliott’s intense pain and loneliness were the result of his parents' divorce, and he was a broken boy in need of a friend (who came in the unlikely form of an alien). It’s so interesting then, that E.T.’s ability to heal was the suggestion of children. Mathison asked Ford’s two sons and some other children what kind of powers E.T. should have, and in addition to the usual telekinesis, Jedi-like powers familiar to cinematic creatures, the kids wanted him to provide a break from the pain. “I was struck by the fact that several of them mentioned... that they would like him to be able to heal,” Mathison said in a documentary, The Making of E.T: The Extra-Terrestrial. “I thought that was such an incredibly poignant idea to come from a child. And they weren’t talking about save someone’s life by healing. they were talking about, 'take the owies away.'"